Devil’s Den Restroom Removed and Relocated. And Relocated. National Park Service Contractors were successful in removing the Devil’s Den Restroom from the Slaughter Pen area this week. This view, courtesy of Gettysburg Licensed Battlefield Guide John Archer was taken facing northeast at approximately 12:00 PM on Thursday, April 1, 2010. 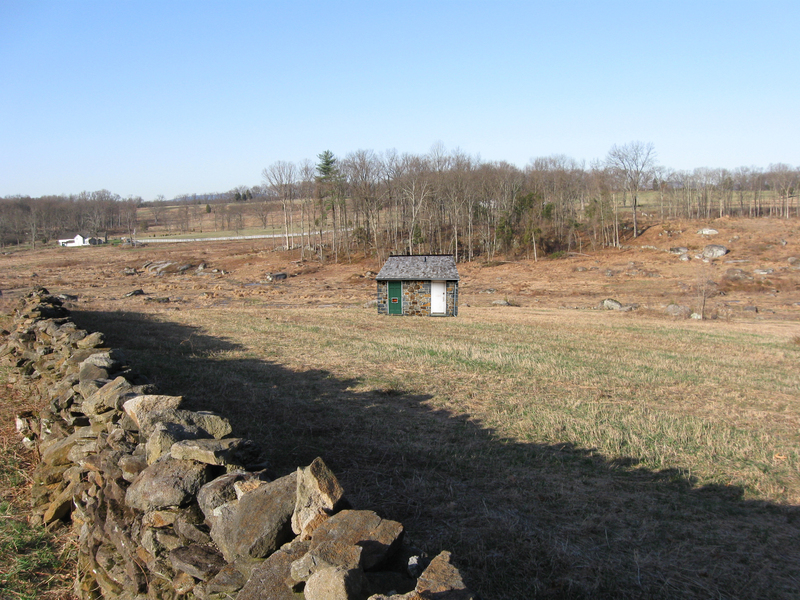 The Devil’s Den Restroom was removed by contractors to the National Park Service this week. The removal was not without some controversy. At one point, the National Park Service considered bringing electricity to the facility via underground lines. 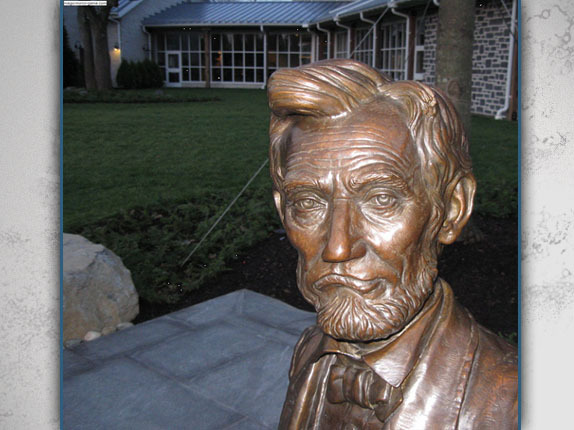 This would have disturbed the historic landscape and did not make battlefield preservationists happy. Tearing the building down didn’t make relatives of the architect who designed the restroom cheerful either, and they protested against its destruction. 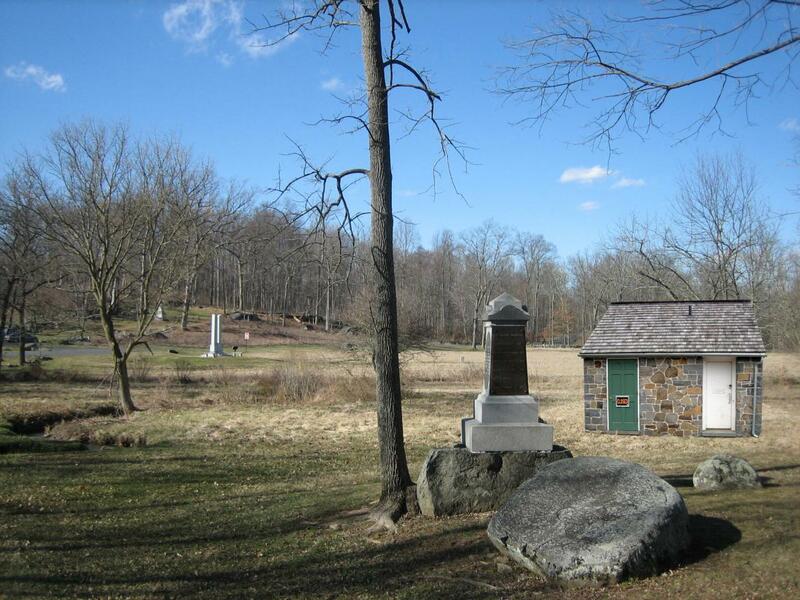 They pressured the National Park Service to moving the restroom to another spot on the battlefield where it could still serve the public and honor its creator. Local citizens protested that the craftsmanship on the building was exceptional, that tearing down the building was a waste of money, and that the restroom was historic because it was over 50 years old. 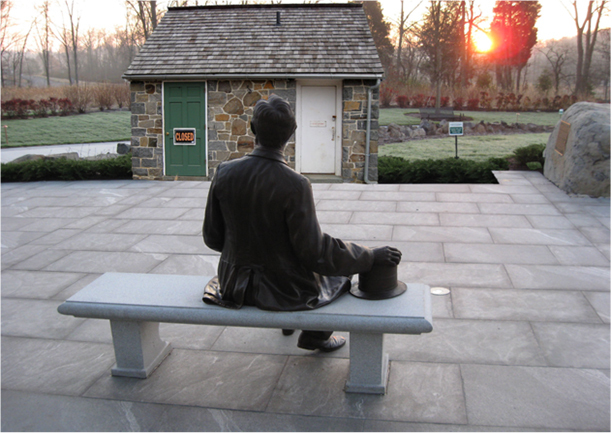 We would like to thank Gettysburg Licensed Battlefield Guide John Archer for his coverage of this event. 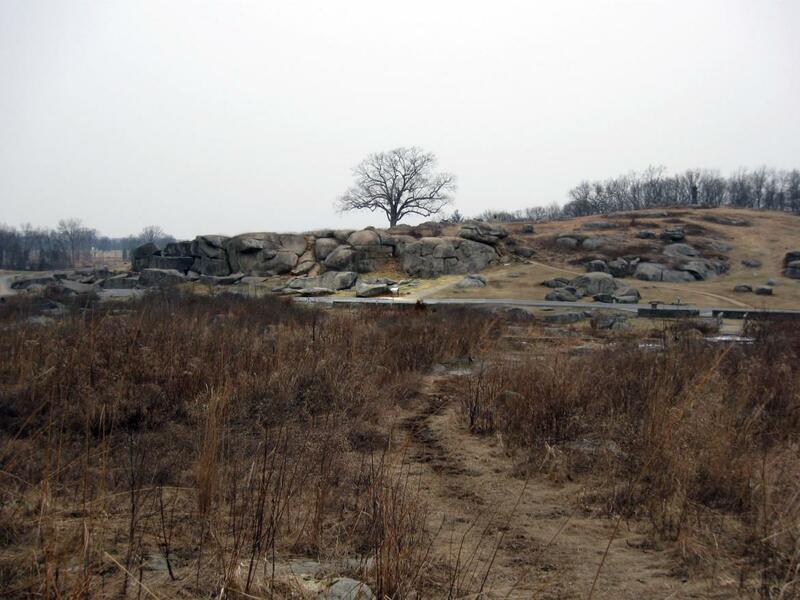 The Devil’s Den restroom was removed after the trees which had surrounded it for approximately 50 years had been cut down, and no longer hid the restroom. Devil’s Den is in the background. 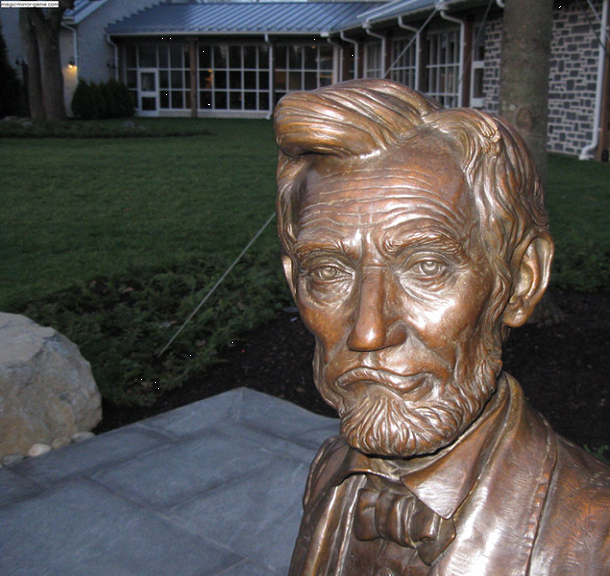 This view, courtesy of Gettysburg Licensed Battlefield Guide John Archer was taken facing southwest at approximately 12:00 PM on Thursday, April 1, 2010. 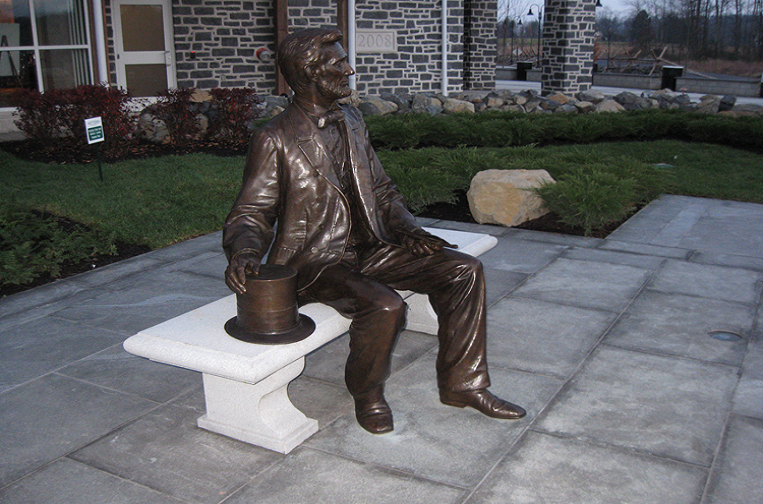 This statue of Abraham Lincoln was dedicated on November 19, 2009 as part of a special plaza. This view was taken facing northeast at approximately 12:00 PM on Thursday, April 1, 2010. However, the President wasn’t very happy last week. 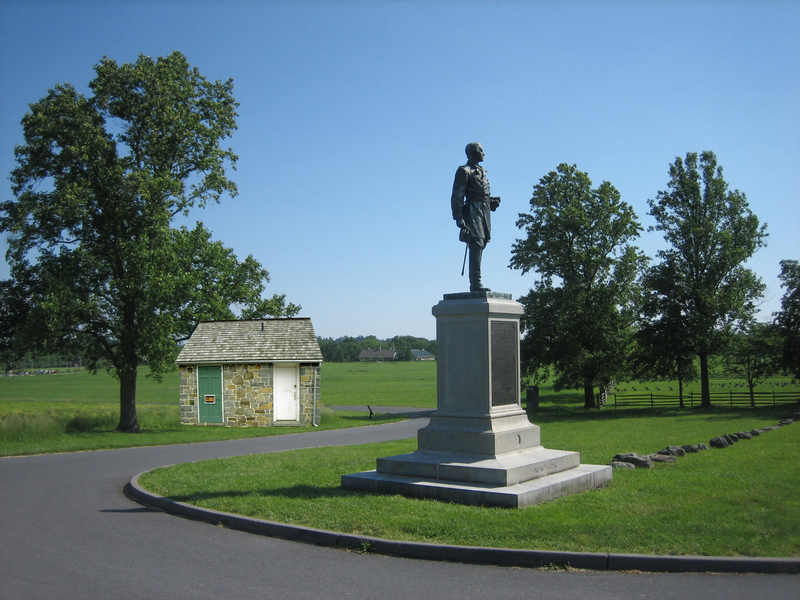 This view, courtesy of Gettysburg Licensed Battlefield Guide John Archer, was taken facing northwest at approximately 12:00 PM on Thursday, April 1, 2010. In an attempt to complete the plaza, the Park Service tried locating the Devil’s Den restroom here to accomodate after hours visitors. Unfortunately it was still closed. This view, courtesy of Gettysburg Licensed Battlefield Guide John Archer was taken facing southeast at approximately 12:00 PM on Thursday, April 1, 2010. A first day location was attempted at Barlow’s Knoll. Visitors drive very fast around the curve at the top of the knoll, and the restroom should help their vehicles stay on the avenue by acting as a stone guardrail. The only danger is to visitors emerging from the restroom, but again, it is rarely open. This view was taken facing southeast at approximately 12:00 PM on Thursday, April 1, 2010. Spangler’s Meadow and the Spangler’s Spring area became another option because there is already a closed restroom in the area, which is almost identical to the Devil’s Den facility. So it was thought that this is where restrooms could come to die, as did the 2nd Massachusetts and the 27th Indiana. This view was taken facing northeast at approximately 12:00 PM on Thursday, April 1, 2010. Finally, the Park Service decided that the Devil’s Den area really needed a restroom, but they knew that the Slaughter Pen was no longer a possibility. 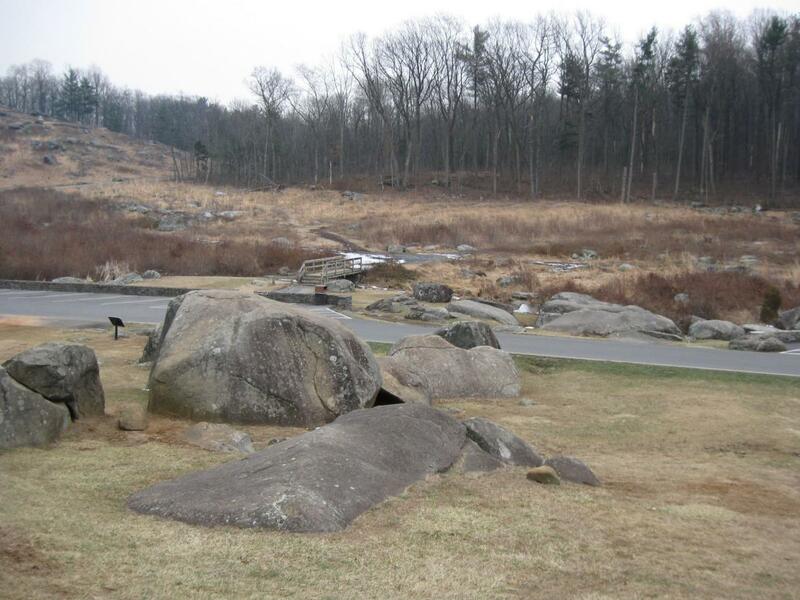 So they decided to move the restroom to the “other” side of Devil’s Den, into the Triangular Field. Paranormal investigators and other Ghost Hunters are very excited about having facilities so close to their work. Preliminary testing, however, has shown that when the restroom is open, the toilets work outside the Triangular Field, but somehow fail to operate when within the boundaries of the field. This view was taken facing southwest at approximately 12:00 PM on Thursday, April 1, 2010.